Lower monthly repayments and fuel bills will ease the pressure on household finances, but motorists should keep in mind that significant losses can be made by trading in a car at the wrong time, cautions Ghana Msibi, WesBank executive head of sales and marketing. 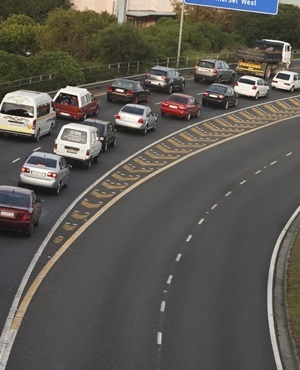 Msibi said factors such as inflation, fuel prices and the VAT increase cause many SA motorists to consider changing to more cost-effective cars. Although this might seem like a wise move and a simple switch, Msibi points out that motorists should bear in mind that there is an optimum time to trade in a car. According to Wesbank, the best time to trade in a vehicle is when the trade value is in line with the settlement amount owed to the bank that financed the vehicle. This is called the breakeven point; and trading in before this time could see a consumer paying just to get out of the finance contract. In other words, if your car's trade in value is R200 000 but you owe the bank R250 000, you'll be required to come up with R50 000 just to make a move to a more affordable car. "Vehicles, especially those which are less than a year and a half old, often depreciate at a faster rate than their owners have made payments on the loan," explains Msibi. "For many consumers this could mean it's cheaper, in the long run, to wait until a later stage to trade in." WesBank's data shows the majority of vehicle finance contracts are in place for about six years (72 months). In these cases, a breakeven point would normally arrive at between 24 and 36 months, depending on the size of the deposit at time of sale. The breakeven point in an ownership cycle varies on a case-by-case basis and is affected by factors such as missed payments, extra payments, the size of a deposit and depreciation of respective vehicles. It is possible to bring the breakeven point forward by putting down larger deposits and financing over shorter loan periods. Msibi said the new vehicle market in SA is extremely competitive and many manufacturers offer incentives to help buyers settle outstanding balances. "SA's underperforming economy, however, means manufacturers are spending less on these marketing schemes so it's worthwhile to shop around in order to find the best deals," said Msibi.